Deploying a new Web application is a complex and dynamic process involving a combination of testing and planning. While each application features unique challenges regarding its deployment, the following checklist is designed to provide you with a general guide toward true and sustained application success. Perhaps one of the most notable mistakes any application development team can make is not establishing clear communication and collaboration between other departments. Its important to remember that an application is merely an extension of the rest of a network. Therefore, in order for the entire “machine” to run smoothly, every component must work flawlessly with all connecting physical and virtual components. Therefore, strive to retain clear and constant communication throughout the development and deployment phase. The biggest mistakes made within the deployment and development of Web applications come from human error. Therefore, one of the most important steps in cultivating a successful application is automating as much as possible. By turning to various scripts to execute simple tasks, you eliminate the possibility of human error. Thanks to the evolution of automation software and script development, executing automation tasks is easy, even for the most novice of administrators. As with many elements within a website enterprise, once an application has been deployed, keep changes made to its infrastructure or communication methods at a minimal. Without proper communication and preparation, even the smallest of changes can prove disastrous for the performance and stability of an application. If a change is needed to correct an error, work with the development team to implement a correction that does not disrupt the communication of other application components. In order to see if the communication between an application and its various components is as it should be, developers must implement synthetic transaction tests. These tests “interact” with an application just as a user will. By using automation software and instructing each step, synthetic transaction tests ensure each level of your application operates as it should. This is imperative for any application, regardless of size and purpose, after deployment. Many times, synthetic transaction tests catch critical errors before they have time to influence experiences had by users. There is a wide range of programs that you can use to automate this process, such as a free program like Every-Step Automation, or even a paid suite of tools. While your application may be communicating as it should, if its server utilization is too high, the overall performance of the application (and ultimately the website) will suffer. This level of application monitoring ensures that all necessary servers are online and capable of handling current and projected traffic. Make sure to establish agents to monitor: virtual memory usage, network usage, disk usage and CPU utilization rate. 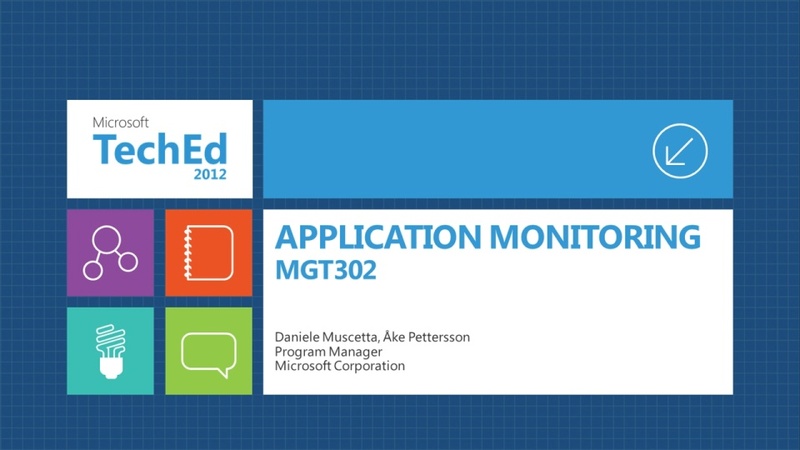 Through these monitoring reports youre given a clear insight into the operation and performance of your application. This entry was posted in Web Application Monitoring, Web Application Success Checklist, Web Application Testing and Planning and tagged Application Monitoring, Application Planning, Application Success, Application Testing by HashTagMom.com. Application management and monitoring was traditionally begun as a means of streamlining the managerial aspects of operating dynamic applications. Through its ability to monitor the entire infrastructure and various internal components found in most Web applications, these tools simplified the complex process of managing and monitoring application integrity and performance. However, as the application industry continues to evolve and become more advanced, the need for fluid and scalable application monitoring tools is greater than ever before. As the need for enhanced customer interaction and complex business processes increases, the complexity of Web applications will simultaneously progress. While this is an exciting proposition in terms of business-to-customer interaction and faster critical business processes, the rise in application infrastructure requires new and equally advanced application monitoring capabilities. Therefore, one of the largest evolutions within the application management and monitoring industry is the methods in which monitoring software will track and manage application processes. Perhaps one of the largest developments within this industry is the location of what are considered critical application components. Many experts suggest the use of virtual hosting and cloud computing will increase the scope of application infrastructure in terms of where components are located. While this allows modern applications to perform dynamic processes, it adds strain on traditional monitoring and management software. In order to match this demand, many application monitoring solutions would be required to send monitoring and management “agents” across an entire application network, which would span both physical and virtual components. By expanding its reach across multiple platforms, monitoring solutions are capable of gathering data from a wide variety of sources and hosting this information in a single, user-friendly, dashboard. With this setup, application developers and system administrators are able to monitor and manage the dynamic options and processes modern applications now require. However, one of the the biggest issues plaguing the modern application industry is a reluctance on behalf of IT developers and system administrators to upgrade their application monitoring and management software. While the cost associated with purchasing and implementing an application monitoring solution can be expensive, the risks of running a tool incapable of keeping track of modern applications are far greater. Remember, as your application use and type evolve, so should your monitoring and managing solution. This entry was posted in Web Application Monitoring, Web Application Testing and Planning and tagged Application Management, Application Planning, Application Success, Application Testing by HashTagMom.com. HashTagMom.com © 2019. All Rights Reserved.